Landry’s Seafood is part of the Landry’s Restaurants group. If you join the Landry’s Select Club you will get a FREE $25 Birthday Reward that can be redeemed during your birthday month. You can use your FREE Birthday Reward for FREE Birthday Food or FREE Birthday Appetizers or even a bunch of FREE Birthday Desserts if you really have a sweet tooth! 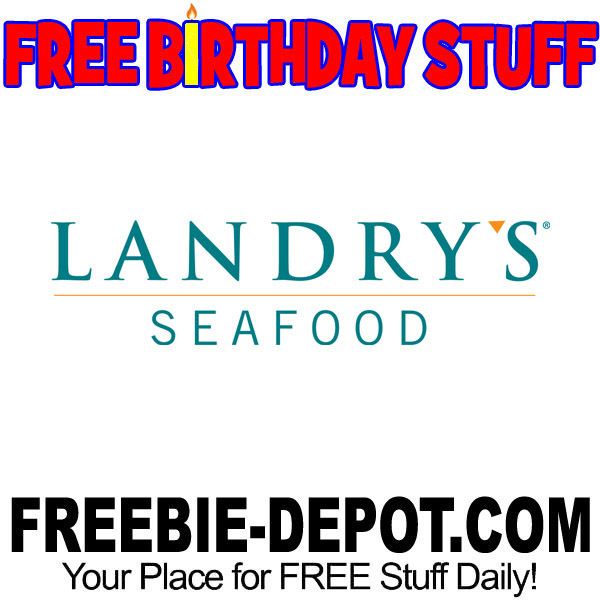 You will receive this FREE $25 Birthday Reward annually as long as you remain a member of the Landry’s Select Club. You do have to pay a $25 membership fee. However, upon activation, you will also be awarded a $25 Welcome Reward. So, it’s a wash!